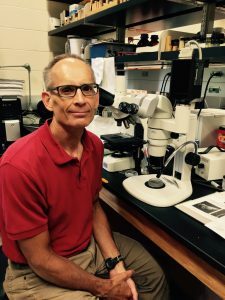 But Dr. Tom Bultman, professor of biology, does. Bultman teaches The Science and Culture of Coffee, just one of two courses of its kind taught at colleges and universities in the U.S. as far as he can tell (the other is offered at UC-Davis). The interdisciplinary class has been filled to the brim each semester Bultman has offered it. Welcome to Hope Expert Resources, a blog that assists media in tapping into the broad range of faculty and staff expertise found at Hope College. As active scholars and seasoned professionals, Hope employees are experts in their fields, offering research and experiences that are relevant to lives and communities across the globe. And they like to share! After all, the work of Hope is about passing on knowledge, feeding curiosity and inspiring further inquiry. All individuals mentioned on this blog are ready to talk about their featured expertise. If you are a reporter interested in connecting with any of our experts, please contact the individual to arrange an interview. Other questions can be directed to Greg Olgers, director of news media services, (olgers@hope.edu).